A sticker filled with graphical concept words. 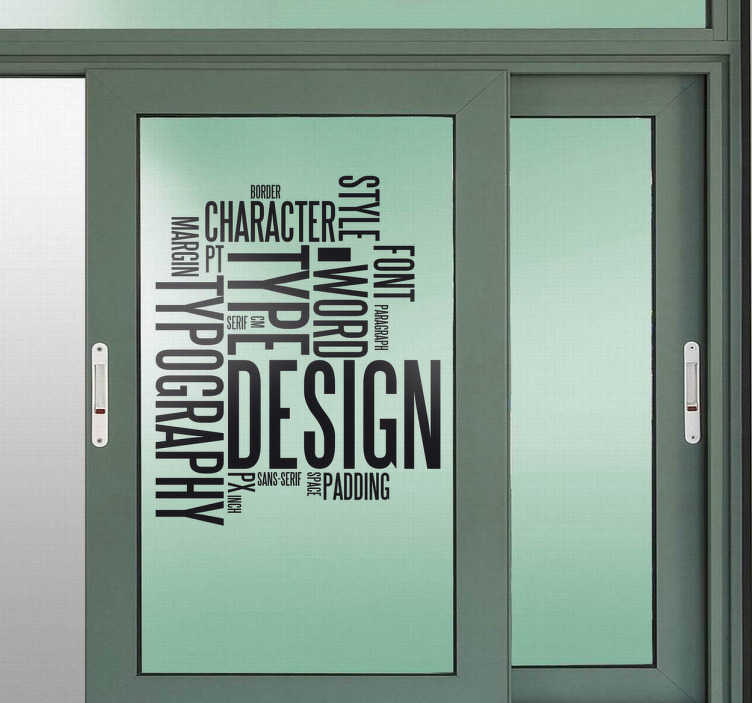 Superb decal to decorate walls, doors or any surface of your office. A sophisticated sticker with keywords used in the world of graphic design. Brilliant decal to give you ideas when at work. This sticker is great for to give your office a stylish touch. Easy to remove and apply made with anti-bubble vinyl!